The time when the transfer window is open is one of the busiest times in football be it during the winter break or off-season during the summer. The January transfer window closed few days ago and many surprising deals were made while many promising deals were put off for later. Few of the premium transfers include Gonzalo Higuain's loan move to Chelsea, Frenkie De Jong's move to Barcelona, Denis Suarez's loan move to Arsenal, Alvaro Morata's loan move to Atletico Madrid and Christian Pulisic's move to Chelsea though he'll stay at Dortmund till summer. The current Top 6 in the Premier League are in different stages of mind and in highly contrasting form. While Manchester United are flying high, Chelsea and Arsenal are dropping points. Manchester City, Liverpool and Spurs are consolidating their positions in the points table. All the teams will be looking for reinforcements in the summer. Let's take a look at one player who each of the top 6 should sign. 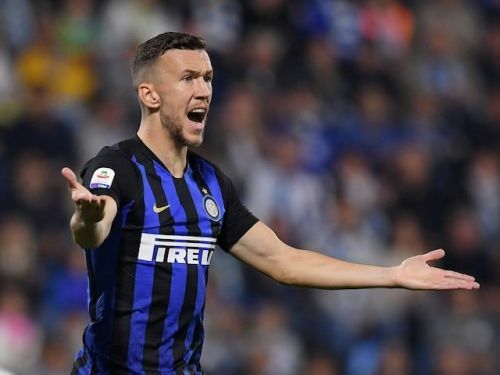 Arsenal failed to negotiate a loan deal with Inter Milan for World Cup star Ivan Perisic but that doesn't mean that they shouldn't bid for him once more in summer. Arsenal seem to be lacking creativity in the flanks and aren't playing wide formations choosing to operate Aubameyang and Iwobi or Aubameyang and Ramsey as left and right forwards playing Lacazette up front. While Sead Kolasinac's movement is causing some activity down on the flanks, Arsenal haven't had a single player who actually replaced Alexis Sanchez. With Henrikh Mkhitaryan disappointing time and again, hunting for Perisic might prove to be fruitful for the Gunners. He is a man of Premier League experience and his arrival, though late can benefit Arsenal a lot.